Want to plan a romantic getaway? Then think about booking a weekend jaunt to Paris. When you take advantage of last-minute travel deals, this expensive destination can actually become quite affordable. It takes about seven and a half hours to fly from New York City to Paris’s Charles de Gaulle Airport. While this sounds like a long flight for a weekend trip, the time investment might well be worth it when you land in this highly cultural city, which has earned its reputation as the capital of fine fashion, fine wine and fine food. One of the many great things about Paris is that it offers something for almost everyone’s taste. If you want to live like the rich and famous, you’ll be impressed with the city’s selection of four-star hotels, extravagant restaurants and exclusive designer boutiques. On the other hand, if bohemian is more your thing, there are plenty of bistros, flea markets and sidewalk cafes. The best time of year to visit Paris is in the spring or fall, when it isn’t too cold or too warm. However, you can expect airfare and hotel rates to be higher during the more popular months, and you will have to wait in longer lines at many of the main attractions during these busy tourist seasons. 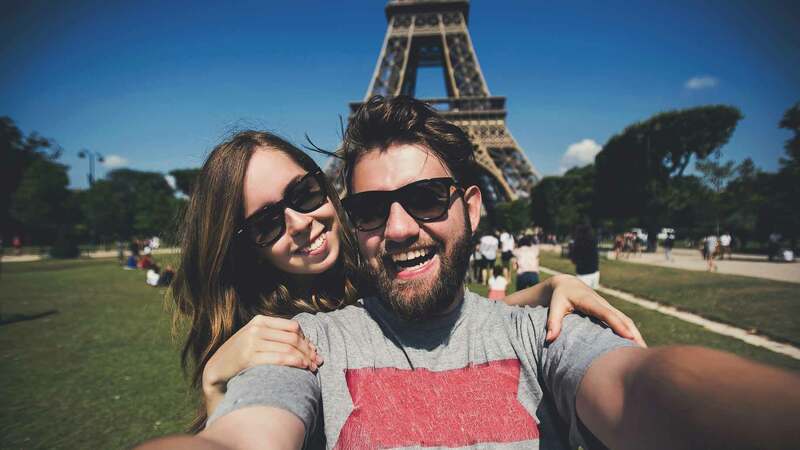 The Eiffel Tower – From the top of this landmark steel structure, which stretches 300 meters tall, you will get a great view of the rest of the city. The Louvre – Plan to devote the better part of a day at this prestigious museum, which contains more than 300,000 works of art, including the Mona Lisa and many other well-known masterpieces. Notre Dame – Be sure to admire the architecture of this grand cathedral, which draws flocks of visitors from all over the world. Opéra de Paris Garnier – Celebrate more than 125 years of cultural history by dressing up to attend a Parisian ballet at this famous location. Avenue des Champs – Window-shop at the many high-end specialty shops, including the largest Louis Vuitton boutique, that line this expensive street. Les Jardins du Luxembourg – Spend some down time relaxing in this large scenic park, which features a variety of statues, fountains and greenery. Best of all, admission to this park is free! Most of these and a variety of other tourist attractions are easy to get to, either by foot or using the public transportation (Metro) system. In Paris, location is everything. Whether it comes to the placement of the finest hotels or how far from the expensive stores and tourist sites you are willing to go for a meal, the price will vary a great deal. If money is no object, you may be willing to pay the price to stay in one of the city’s finest hotels, where you’ll find yourself surrounded by some of the top fashion insiders and other famous faces. With nightly rates at such first-class accommodations running as high as 800 U.S. dollars a night, understand that staying for more than a weekend will turn into a major expense. If a bed and breakfast off the beaten path would be more to your liking, the nightly rate will be much more reasonable. You can expect a clean but inexpensive (and likely very tiny) room to start at around $100 to $150 a night, although you can find even cheaper options if you do a little research. In fact, some of the real budget hotels can be as low as $50 or less for a night. While this will help you save money for shopping, for this price, don’t expect much in the way of ambiance. When it comes to food, again, there is something for every wallet. You can splurge on a four-course meal in one of the best restaurants, where reservations are required weeks in advance and dinner can set you back more than $100 per person, or you can go for a charming (translation: less expensive) bistro. Select the prix fixe menu, which averages about $25 to $50 at a reasonable restaurant for a three-course meal. It is standard for restaurants and hotels to include a10 to 15 percent service charge to the bill. Therefore, you don’t have to tip much more unless the service is extraordinary. Understand that wherever you go, outdoor seating during the nice weather is usually more expensive than eating indoors. But the splurge just may be worth it to supplement the fine food with a colorful feast for your eyes. If you can plan to get away at the last minute, you will be able to get the best deal. A three-night package trip to Paris including airfare and hotel from New York City ranges from $1,500 to $2,200 when booked a week or two in advance. Or you can pay as little as $650 total when you book your reservation a day or two before you leave. These prices include all travel taxes and fees. The same trip from Los Angeles is about $2,300 a week or two in advance or $900 a few days in advance. Keep in mind that these prices don’t include food or any souvenirs. Americans need a valid passport to travel to Paris. You may also want to convert some money into Euros, which is the currency there. Keep in mind that the American dollar is weak in Europe. In the fall/winter of 2007, one dollar is worth just under 0.70 Euros. American appliances won’t work in France, as the standard electricity is 240 volts AC instead of our standard 110 volts AC. But you can bring a special adapter with you. Finally, there is a Value Added Tax of about 17 percent that is added on to purchases in European countries. However, visitors are allowed to buy up to $400 worth of goods without paying this tax. You can apply for a refund before you fly home.